These last few paintings have been so much fun. I’ve been fascinated by the combining of styles and finding good matches. 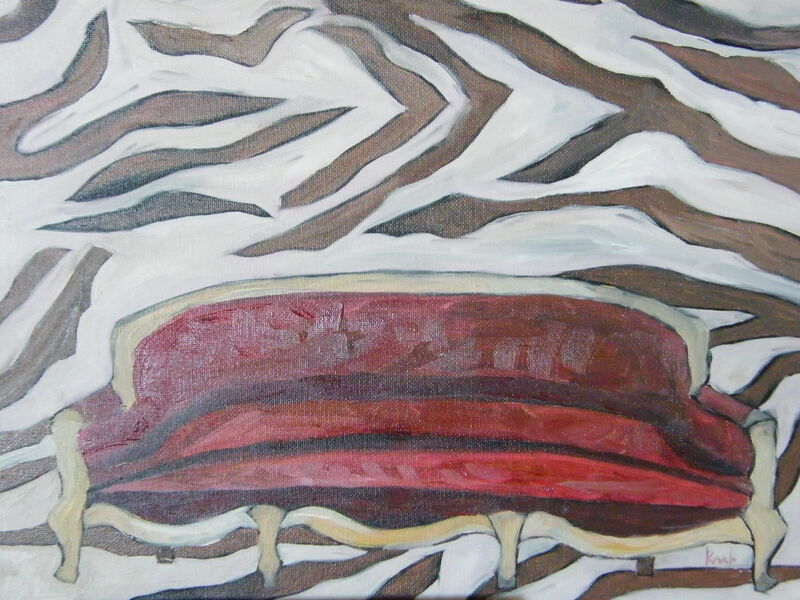 Some vintage or classic furniture, mixed with a modern or edgy pattern in the background. Truly, something to consider. It says a lot about design as well as we as people. Don’t you ever marvel over the vast personalities you enjoy or wonder how you ever became friends with some amazing person in your life? I do. These quick paintings portray the reality that it is ok and sometimes amazingly beautiful to combine difference. Thank you for being those special friends that make life interesting!